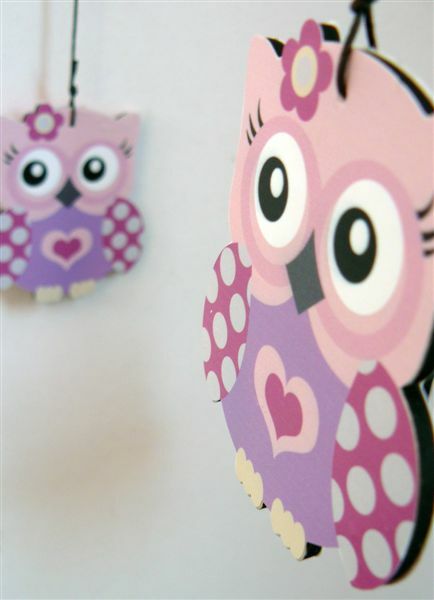 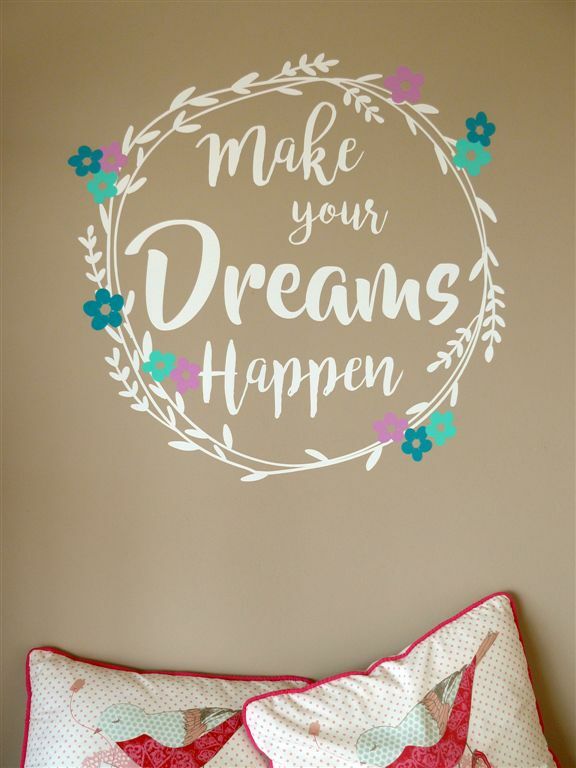 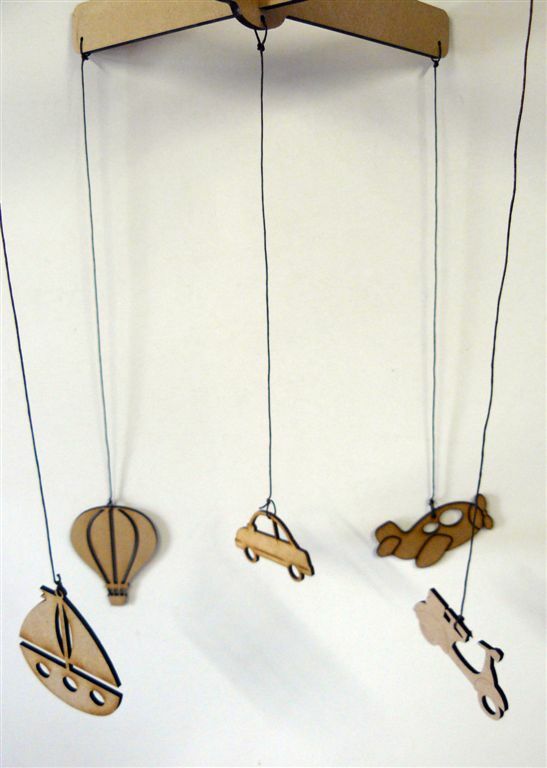 We can make mobiles in any design or theme. 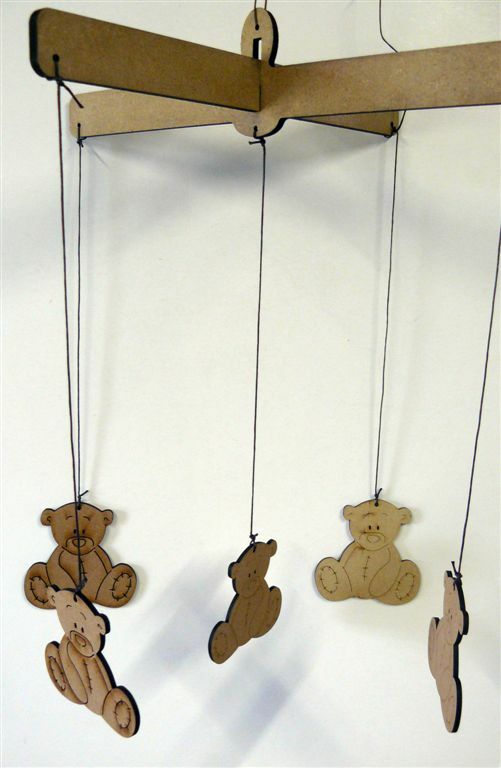 They are lasercut from supawood and hangs from a strong X at the top. 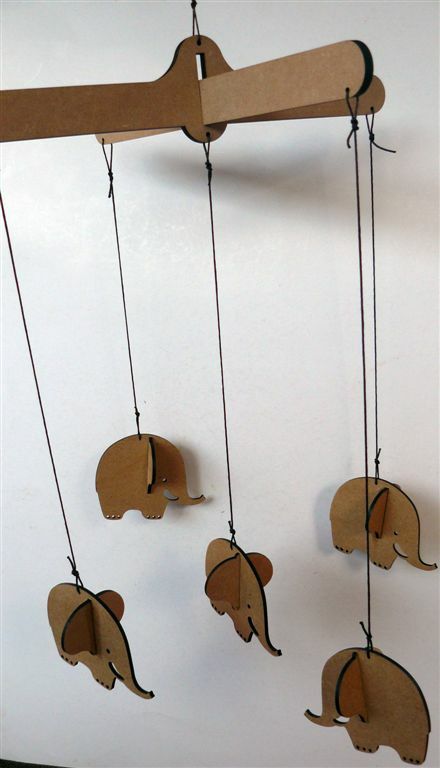 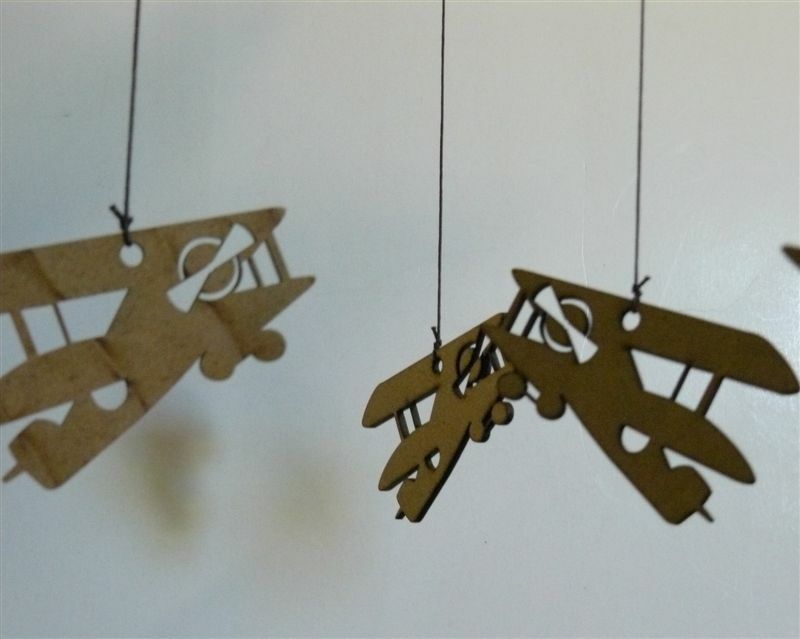 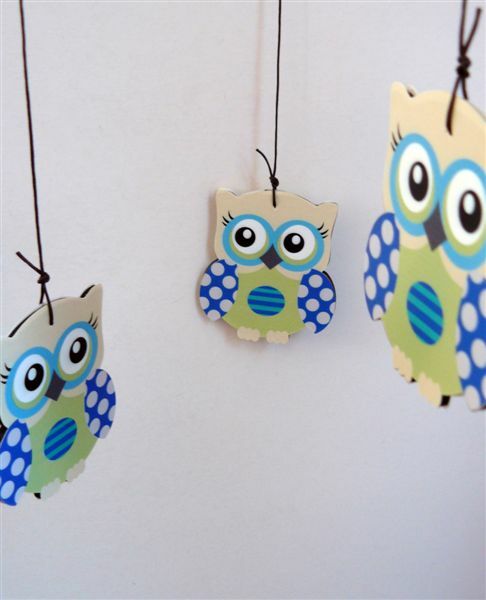 The mobile is cut from 3mm and 6mm wood. 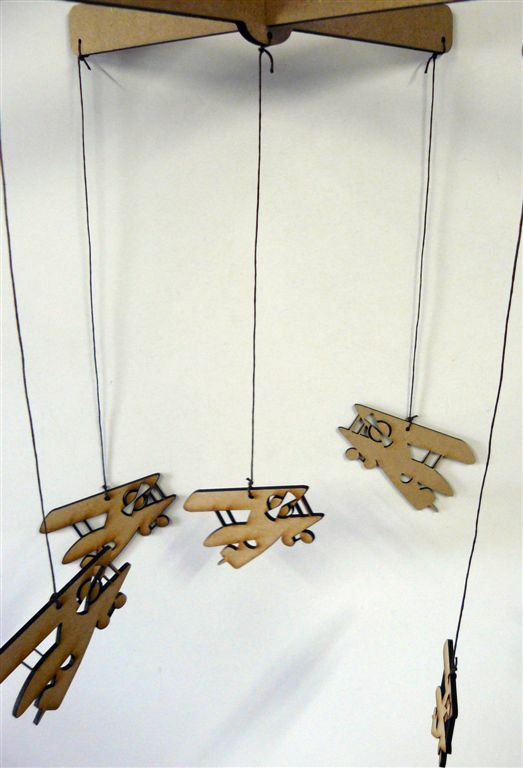 Vintage planes on a header.